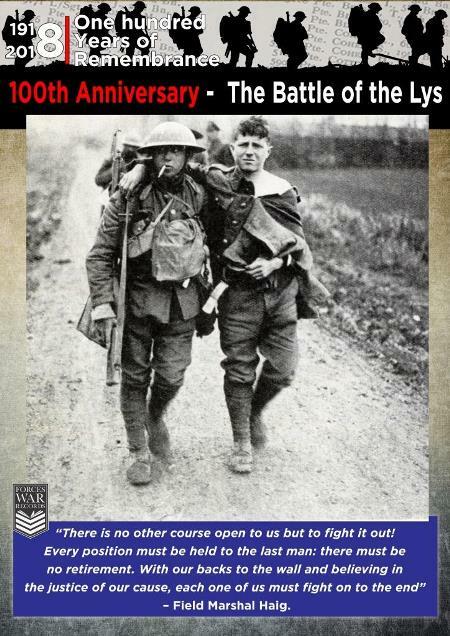 The Battle, in its entirety, took place between 7th and 29th April 1918, and is also known as the Lys Offensive, the Fourth Battle of Ypres, the Fourth Battle of Flanders and Operation Georgette. 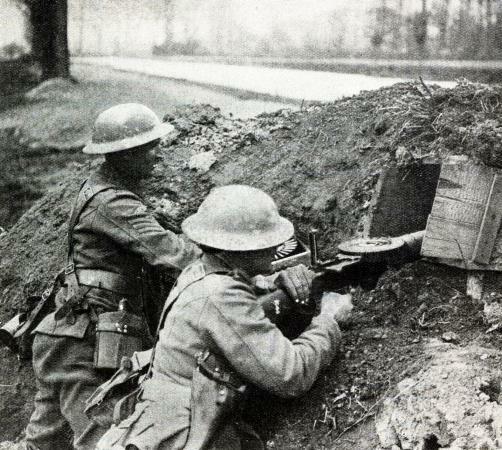 It formed part of the 1918 German offensive in Flanders during World War I. The aim of the Battle of Lys from the German point of view was to capture Ypres (Ieper) and the surrounding high ground around Messines. 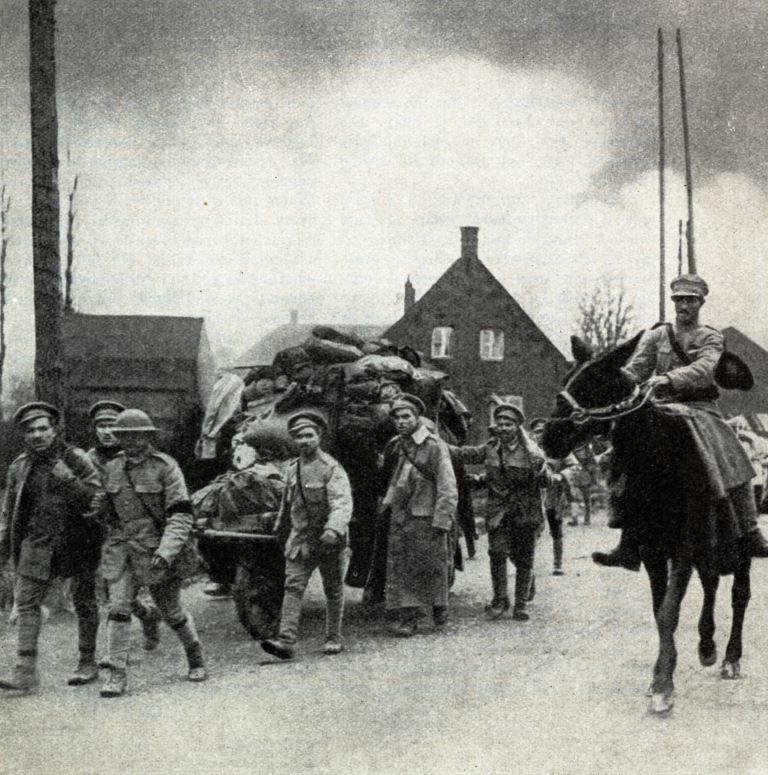 Following two days of artillery bombardment including gas shells, on 9th April the German Sixth Army attacked the British First Army on a line between Armentieres and Festubert. Much of the line was held by a demoralised Portuguese Corps who were due to be relived and they were unable to combat the new German 'stormtrooper' tactics. The eight German divisions advancing were around 100,000 men strong, with the Portuguese defending the front only totalling 20,000 men who were commanded by General Gomes da Costa, a future President of Portugal. 400 of the latter were killed, with 6,500 taken as prisoners of war. The retreat to Estairs was effectively inevitable due to the disparity in size between the two forces. The Portuguese were largely blamed by the British commanders for the retreat, particularly by General Horne placed all the blame for the defeat on the Portuguese writing in his report that the Portuguese troops failed to offer any serious resistance and that the British troops were much hampered by their retreat of the Portuguese. The Germans broke through on nearly 10 miles (15 km) of front and advanced up to 5 miles (8 km) on the first day, reaching Estaires on the River Lys. In Divisional Reserve of 25th Division in the area around Ploegsteert Wood, on 9th April, 74th Infantry Division were detached from 25th Division and dispatched to XV Corps, First Army, to assist 40th Division as they fell back across the River Lys by defending the river crossings at Sailly-sur-la-Lys, Bac St Maur and Erquinghem. Whilst 74th Infantry Brigade were moving towards the crossings, advance German units had already crossed the Lys and were occupying Croix du Bac and La Boudrelle. 11th Lancashire Fusiliers, assisted by D Company of 3rd Worcestershire Regiment, were successful in clearing Croix du Bac during the evening of 9th April, but were outflanked by a German attack at dawn the next morning. 9th Loyal North Lancashire Regiment made some progress into La Boudrelle but a strong German attack the following morning also pushed them back to Pont Vanuxeem, which they held with difficulty. At Sailly-sur-la-Lys, 3rd Worcestershire Regiment were in danger of being outflanked so also withdrew to join 11th Lancashire Fusiliers and form a defensive position at Le Sequenteau. Engaged throughout the day on 10th April, 11th Lancashire Fusiliers put up a desperate fight in Steenwerck before the two battalions fell back to form another defensive line north of the town. Where they were joined by 9th Loyal North Lancashire Regiment. At 09.30am the three battalions, reinforced by 5th York and Lancaster Regiment of 49th Division, attempted a counter-attack to clear Steenwerck. A sharp fight followed, the 74th Infantry Brigade making headway into the village before, around 11.00am, German reinforcements arrived to force them back out of it again. Forming up on the former defensive line, most of it was held by 3rd Worcestershire Regiment, the other two battalions being reduced to only a few survivors. Perhaps more important was the arrival of reinforcements in the shape of the 5th and 33rd British Divisions and the 1st Australian Division. On 14th April Foch was promoted to General-in-Chief of the Allied Armies, giving him enough authority to move French units to the Lys. Despite this help, Plumer was forced to withdraw from the Passchendaele Ridge. On 25th April the Germans achieved their last major successes of the battle, capturing Mount Kemmel. A final attack on 29th April captured another high point, the Scherpenberg, but the general progress of the attack on 29th April convinced Ludendorff to call off the offensive. The Battle of Lys cost the Germans dearly in terms of men lost. While the arrival of thousands of US troops boosted Allied manpower, the Germans could not afford such losses despite men arriving from the Eastern Front. 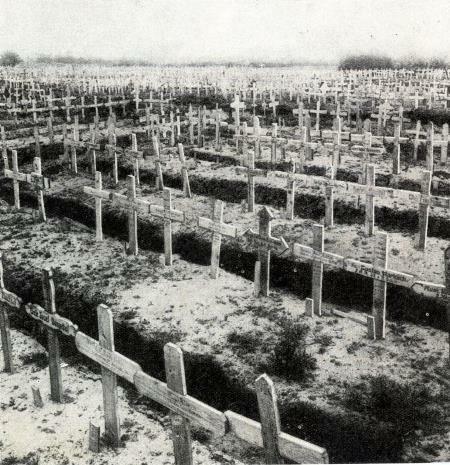 The Germans lost 120,000 killed, wounded or missing, of the 800,000 men engaged in the battle. While the initial territorial gains in the battle may have boosted German confidence in their High Command, they could not cope with their overall losses. 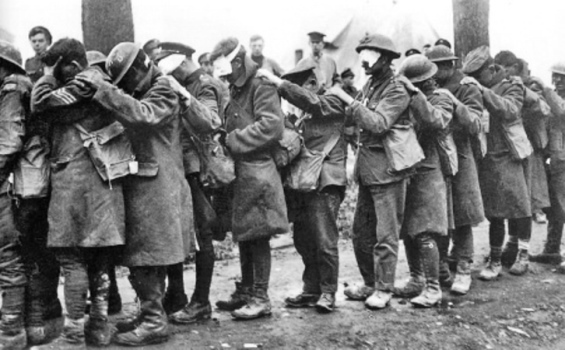 British and French losses were on a similar scale with over 82,000 killed and wounded and nearly 32,000 missing. However, the steady inflow of new troops from the United States meant that the Allies could cope with this loss. The British after this conflict would launch the successful Hundred Days Offensive starting on the 8th August 1918 and would last up to the armistice 11th November 1918.